The vast Great Plains creates a need for maps and a fascination with “place” that has never left us. From the earliest star charts to digital cartography, we have used maps to make sense of space and place. Join us in March 2017 for a conference that invites exploration of maps in cartography, but also in a metaphorical sense of how we use concepts of “mapping” to understand the region’s people, culture, and land. Online registration is closed but you still may register on-site during the event. Shuttles will run from Embassy Suites to Constellation Studios and back on Thursday afternoon. Shuttles will also run to Innovation Campus for the reception and keynote Thursday. On Friday shuttles will run from Embassy Suites to Innovation Campus from 7:30 -8:30 a.m. Shuttles will run from Innovation Campus to Embassy Suites from 4:45 to 5:30 p.m.
“Flat Places, Deep Identities: Mapping Nebraska and the Great Plains” The 2017 Great Plains Symposium will examine the topic, “Flat Places, Deep Identities: Mapping Nebraska and the Great Plains.” In part it will commemorate the publication of the Atlas of the Great Plains (2011) and anticipate the publication of the Atlas of Nebraska (2017). Why are maps so fascinating? What do they tell us, what assumptions were necessary to construct them, how do they shape our knowledge? The symposium calls for a critical reexamination of maps and the mapping of our region. This topic is also to be understood figuratively, inviting us to consider the myriad ways in which “maps,” “mapping,” and “place” shape all aspects of how we see and understand the Great Plains. Thus included in our topic are questions of how place and mapping are used in or influence identity and culture, economy and society, agricultural practices, natural resources, environmental issues, business strategy, art and creative expression, literature of place, social relationships, politics and social movements, “deep mapping,” and any other ways in which concepts of mapping and place are revealing and useful. Papers accepted for presentation at the “Flat Places, Deep Identities” symposium will be considered for publication in thematic issues of Great Plains Quarterly or Great Plains Research. 3:30 - 5 p.m.: Guided tour and activity at Constellation Studios of a related exhibition, "Unflolding the Map." Shuttles will run from Embassy Suites to the gallery and back. 5:30 p.m.: Reception at innovation campus with hor d'oeveres and beverages (included in registration). Shuttles will run from Embassy Suites to Innovation Campus for the reception and keynote. Shuttles will run from Embassy Suites to Innovation Campus from 7:30 -8:30 a.m. Shuttles will run from Innovation Campus to Embassy Suites from 4:45 to 5:30 p.m. 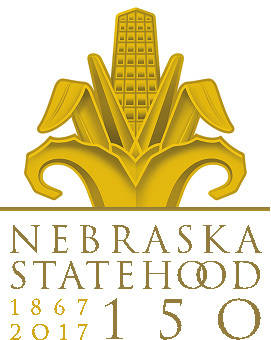 This event is part of Nebraska's 2017 Sesquicentennial events! Follow the Facebook event for more updates. If you have any questions, contact the Center at cgps@unl.edu.